Axwell [SHM] said after playing with them in Ibiza last year that “If there were a Dutch version of Swedish House Mafia, it would be Sunnery James & Ryan Marciano.” Impressive accolades for these relative newcomers, who were plucked from their obscure retail jobs back in 2008. It seems their funky house and tribal sound struck a chord with party goers and, after gaining popularity in their home country, these best friends took their electric energy worldwide. Sunnery James & Ryan Marciano DJ sets are becoming the stuff of legend. With hair flopping and body rockin’, there is no time to sit on the sidelines at one of their shows. They embody dance music fully, bringing the crowd to epic peaks, arms in the air and smiles all around. It’s not a genre thing, it’s a music thing, and Sunnery and Ryan convey that passion to the dancefloor in a way very few artists can. See them one time and you will understand. Sunnery James & Ryan Marciano have quickly ascended into the upper echelon of dance music producers with the release of monster anthems like ‘Tribeca’ and their remake of Tiesto’s ‘Lethal Industry.’ Fans and tastemakers all have supported each Sunnery and Ryan release with the latter track being a weapon of choice for Armin van Buuren, Sander van Doorn, David Guetta and the list goes on and on. Even the don of EDM, Pete Tong made Lethal Industry his ‘Essential Selection’ not once, but twice! Steve Angello scooped up their tune ‘Markuzza’ (along with Traffic and Snitch) for his Size Records imprint realizing early on what a masterpiece it was. A release date is pending. Hits lead to remix work, and Sunnery James & Ryan Marciano are the go to producers for some of dance music’s most respected artists. To date the boys have reworked tracks for Sander Kleinenberg (‘This Is Our Night’), Kaskade (‘Dynasty’) and their latest remix -Ferry Corsten’s (‘Ain’t No Stoppin’) which was released in January of 2012. 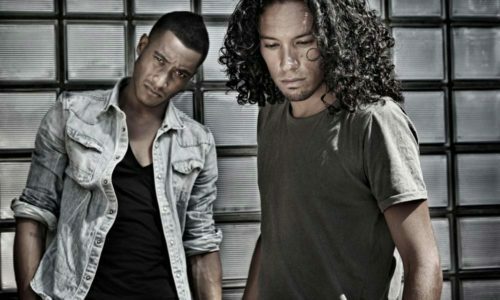 Sunnery James & Ryan Marciano continue to break new ground with their Amazone Project which was started in 2010. Originally devised as a way to showcase their sound across a longer set time, it quickly morphed into a showcase of talent and music that they supported. A sold out crowd joined them at the inaugural event at the Heineken Music Hall in Amsterdam, and since then, the brand and what it delivers continues to grow and expand each year. The next event is slated for the end of February 2012. Here’s where we tell you that Sunnery James & Ryan Marciano are the next big thing, headed to #1 and all that bio fluff. The thing about great artists is this, Sunnery James & Ryan Marciano don’t need words on paper hyping their sound because the only thing that matters is how they make you feel when they play.